Limited on space, but still need some balance in the room? 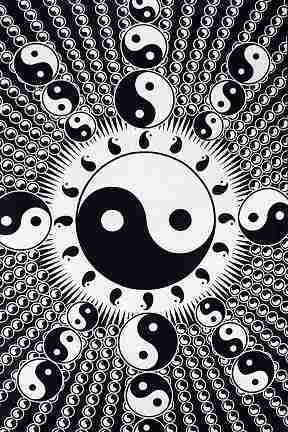 Our mini Yin Yang Sphere tapestry is perfectly sized at 30" x 45", and would look great on any dorm room or bedroom wall. This tapestry is a 100% cotton tapestry and it is equipped with specially-designed loops to accommodate easy support from a wall, window frame, ceiling.